The topic of bullying is not going away and until changes are made, bullying prevention needs to be a constant discussion among families, schools, and your community. Over the past year, South Florida has make national headlines in the ugliest ways when it comes to bullying and school violence. From 16 year-old Michael Brewer, who was viciously doused in alcohol and set on fire by other teens, to Josie Lou Ratley who was savagely stomped nearly to death by yet another teenager, these stories are true and South Florida based. To compound these stories, we look in Central Florida to Chatari Jones, 12 years-old with cerebral palsy, who was taunted, harassed and physically bullied by other kids on a school bus. Since when do children throw open condoms on others? They also took a thrill in twisting her ears and verballying teasing her. What is Drunkorexia? It is the term used to describe a mixture of alcoholism, bulimia and anorexia. Schools and universities are dealing with a new student issue and it is an concern for counselors and parents. In 2008 the New York Times was one of the first times we heard about this issue that is becoming a trend. The Denver Postjust ran a recent article, "Drunkorexia" act swaps food calories for alcohol. 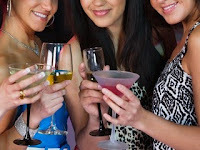 ABC News Health also just posted Drunkorexia: Alcohol Mixes With Eating Disorders. When safety trumps privacy - is when invasion of privacy is thrown out the window. As a parent keeping our children safe, especially our new young teen drivers is a priority. Many teens believe they are invincible and accidents only happen to other people. Sort of like those other people are the only ones that get STD's or have bad things happen. Newsflash - bad things can happen to good people. Employer's are now asking for your Facebook URL: What does yours say? At first glance you would think this is a misprint, but after applying online to a health food store, a young college grad student was asked to provide his Facebook link as part of the application process. Before doing this, he did change his photo, and this is not implying his photo was inappropriate, however really wasn't what you want a potential employer to view. It was a silly photo of him and his friends on a Merry-Go-Round, not exactly a first impression you want a future employer to view or misunderstand. 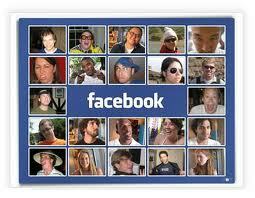 In reality, many employers and college admissions are viewing Facebook pages. We don't need The Social Network movie that took the number one spot for two weeks in a row, to remind us of how powerful the Internet has become. Just recently, Jessica Bennett, wrote an amazing article for Newsweek - "What The Internet Knows About You." If you haven't read it, now would be a good time, and remember to pass it on to your friends and family. The scary reality is that as anxious as your teen is to get their driver's license, the risk of them having an auto accident increases. For any parent this is stressful and is a point of concern. Parents and their teens need to understand the major responsibility they undertake when they hit the road. Yes, parents too. They need to lead by example and be a good role model. If a parent doesn't use their seatbelt, which is the law in Florida, the teen is likely to mimic this when the parent is not around. A new group called, GoTellMom.com is hitting the pavement and creating an awareness and accountability to drive responsibly. Isn't it time we take action in our community? Across the country parents and school nurses are joining forces to help bring awareness to over-the-counter (OTC) medicine abuse and our teens. Your school nurse is your ally and partner in preventing cough medicine abuse in your teens’ lives but so are your friends and community. Do you share information with your family and friends online? Are you active in your teens’ school, their team sports, or your religious community? If not, start today! Working on the frontline with teens, school nurses know the range of issues parents deal with concerning the health and welfare of teens. Whether you're looking to educate yourself about preventing teen cough medicine abuse or searching for advice on how to talk to your teen about the risks, the articles below, written by school nurses around the country, will help you get informed and start talking. With today's society, kids have access to many different substances that can be addictive and damaging. If you suspect your child is using drugs or drinking alcohol, please seek help for them as soon as possible. Drug testing is helpful, but not always accurate. Teen Drug use and Teen Drinking may escalate to addiction. Tolerance, acceptance and parenting. Our kids learn by example, what are they seeing at home? With the recent teen tragedies that involve bullying and harassment towards gay teens, parents and communities need to step up and step into action. Bullying is an endemic problem in American schools. Anti-LGBT (lesbian, gay, bisexual and transgender) bullying is one of the most pervasive forms of bullying and often the weapon of choice for bullies, regardless of the bullied student’s sexual orientation. Yet many schools have not effectively addressed anti-LGBT name-calling, bullying and harassment. GLSEN recommends four approaches that schools can implement now to address anti-LGBT bullying and make schools safer for all students. 1. Adopt a comprehensive anti-bullying policy that enumerates categories such as race, gender, ethnicity, religion, sexual orientation and gender expression/identity. Whether your family has been green for years or whether you’re green at being green, Green Halloween is the right place for healthy and Earth-friendly Halloween tips. So what is Green Halloween? 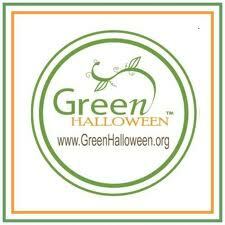 Green Halloween is a non-profit, grassroots community initiative to create healthier and more Earth-friendly holidays, starting with Halloween. It began in the Seattle area in 2007 with backers such as Whole Foods Market and was such a huge success that in 2008, the initiative expanded nation-wide. In cities across the country, volunteer coordinators are turning their city’s Halloween holiday healthy and eco-friendly, but many are also raising money for their own, local nonprofit beneficiaries via the initiative. Teen Driving: What Happens When They Lose Their Keys? Teen driving. There is more to teaching our teens how to drive than just being behind the wheel. Responsibility is "key" - and that is literally! 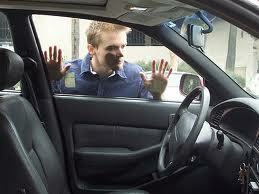 Have you ever locked your keys in the car or simply lost your keys? What do you do? Of course years ago the hanger was a simple solution, however with newer model cars, you can potentially damage them that way. Safety matters in all situations and when your teen hits the road solo it can be a moment of stress and anxiety for most parents. However many have been called when they have lost their keys or locked them in the car? It is a call, although it could be so much worse, it is stressful and time consuming. Many parents have a membership to AAA which can save you a lot of money and grief, since getting help is only a toll-free call away and usually the costs are minimum. Some insurance plans also offer emergency roadside services. How many times have we heard we need to TALK to our kids about not using drugs. Just say no to drugs. Drugs are bad for you. Drugs can lead to addiction. Addiction can lead to death, etc. So what do you do when you finally realize your teen is using drugs? Most commonly parents will first find every excuse under the moon, and it takes a while for the parent denial to subside and reality to set in. "My teen is using drugs. My teen is smoking pot. My teen is drinking. My teen is using esctasy." Yes, maybe he/she has fallen into a bad crowd, negative peer group and facing peer pressure, but at the end of the day it is your teen that has made the choice to use drugs. His/her friends are not your concern or an excuse. The Partnership at Drug.Free.org launched "TIME-TO-ACT" to help you through this process. Are you still not convinced your teen is using drugs? Do you think they are? Must watch video on sidebar. From time to time I receive guest Bloggers that have written excellent articles on information I believe my reader will benefit from. As school is in full swing now, teen relationships are forming. How do you know if your teen is in a healthy relationship? Is Your Teen in an Unhealthy Relationship? National Cyber Safety Awareness Month (NCSAM) is here. 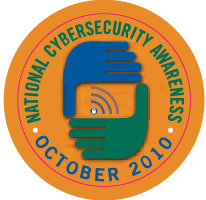 October is a month that is highlighted by encouraging people to get in the know about their cyber and virtual safety. Especially parents with kids and specifically - teens. Why teens? Because they are the ones that will most likely be applying to colleges or looking for employment and if their online resume isn't kept updated and appropriate, chances are good that their won't be accepted or they may not get that job. PEW study shows that about 75% of all Americans are using the Internet. More importantly over 53% of people are Googling each other! Do you know what Google is saying about you? Do you know what it says about your teenager? It is time to "get in the know" and learn to maintain your digital profile. Here are some quick tips to start. Remember, the Internet is today’s information highway and your name has a road sign. Many celebrities are known by one name. Whether it is Cher, Madonna or Ellen - we know exactly who they are and what they do. They are recognizable. Ellen, who makes people laugh everyday on her television talk show, is using her voice and her celebrity to help spread the word about bullying prevention. There is nothing funny about bullying and she is dedicated to helping those that are being harassed, teased and viciously attacked. Her website recently launched a resource page for bullying prevention.